Have you been in traffic and marveled at the number of drivers concentrating on anything but driving? One person is applying makeup and another is trying to read a newspaper. Their attention is elsewhere, their driving erratic, and other people are at risk because of their behavior. Your Marietta, GA Attorney can help you get the damages you deserve if you’ve been a victim of a distracted driver. Insurance companies, the Center for Disease Control (CDC), and the National Highway Traffic Safety Administration (NHTSA) are among the many agencies interested in distracted driving and what it entails for our roads. These factor into laws restricting the use of cell phones and other diversions. The CDC website reports that “at 55 mph, the average text takes your eyes off the road long enough to cover a football field.” Too much can happen in that amount of time while operating a two-ton, speeding vehicle. The U.S. Department of Transportation also maintains a website dedicated to distracted driving – distraction.gov. It states that in 2014, over three thousand people were killed in crashes involving motorists focused on something other than driving, and another 431,000 people were injured. “A driver shall exercise due care in operating a motor vehicle on the highways of this state and shall not engage in any actions which shall distract such driver from the safe operation of such vehicle […].” Georgia law cautions drivers not to drive distractedly; however, the state does permit cell phone use for telephone calls as outlined in O.C.G.A. § 40-6-241.1. This does not include drivers 18 years of age or younger unless they are reporting an accident, crime, believe their lives are in danger, or are in a legally parked car. No driver, regardless of age, shall write, read, or send texts while driving a car according to O.C.G.A. § 40-6-241.2. There are provisions for emergencies such as listed in the previous paragraph and for certain occupations. The law provides for meager penalties against distracted drivers, so if you’re a victim, let Dean Phillips fight for the compensation that you will need to cover the costs of medical bills, car repair, and lost wages. He will be your voice in your time of need. Dean Phillips will pursue your best interests aggressively and with integrity. 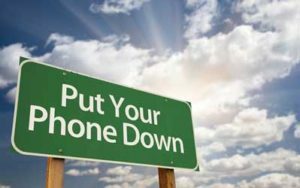 Mr. Phillips represents clients injured by distracted drivers in Marietta, Cobb County, Paulding County, Bartow County, Acworth, Austell, Powder Springs, Smyrna, Kennesaw and Woodstock. For a free consultation on your personal injury case resulting from a distracted driver, call 770-415-0933.